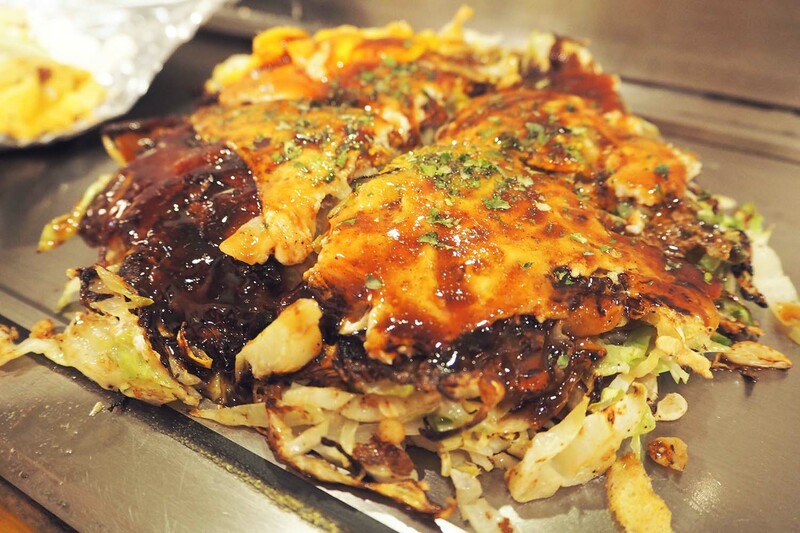 Okonomiyaki is a Japanese savoury pancake containing a variety of ingredients. The name is derived from the word okonomi, meaning “how you like” or “what you like”, and yaki meaning “grill”. 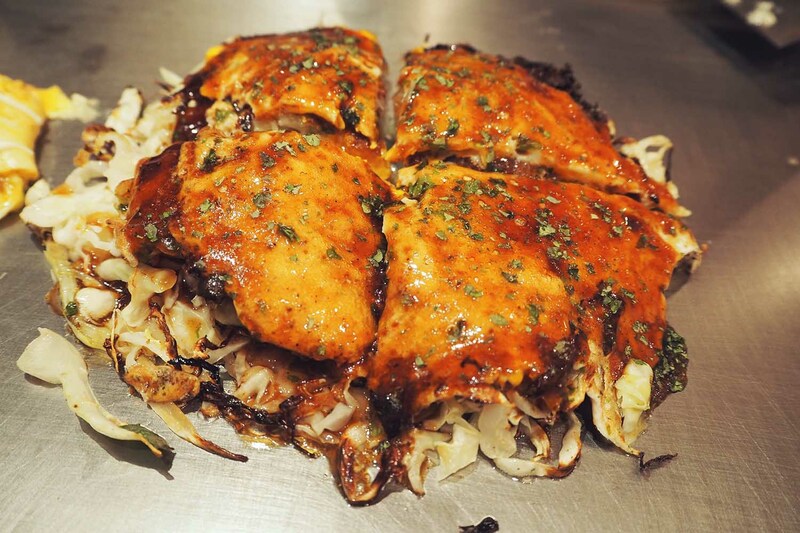 Okonomiyaki – not my favourite Japanese dish but Kobe Rokkomichi Gyunta changed me. 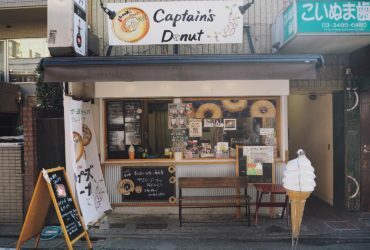 So much so that I made sure to come to this place twice during the span of my one week trip to Tokyo. 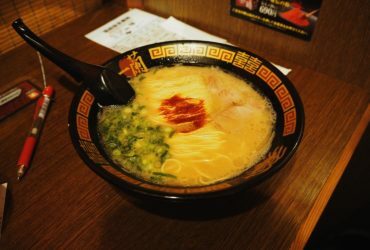 It was a sunny day of shopping in Ginza, when lunch time approached. Unsure of what to eat, I entered Mitsukoshi and made my way up to the 11th floor. 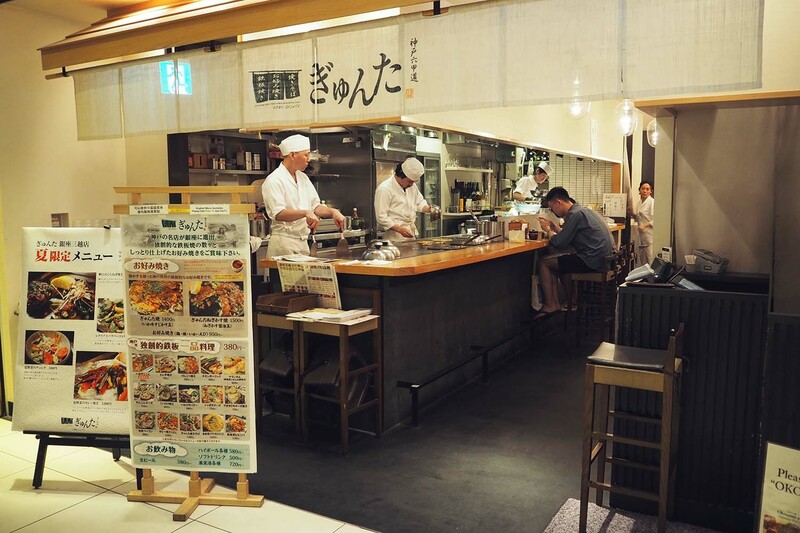 Most of the restaurants already had a line and the only restaurant with seats available was, you guessed it, Kobe Rokkomichi Gyunta. After much deliberation, my brother, Derek, and I decided that we will give this place a shot. And I’m so glad we did. 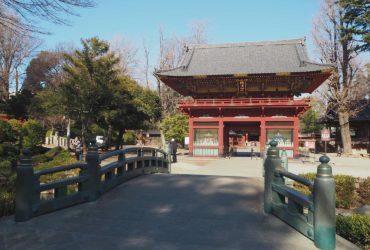 If you’ve heard of Kobe beef, then you’d know that Kobe is part of the Hyōgo Prefecture. 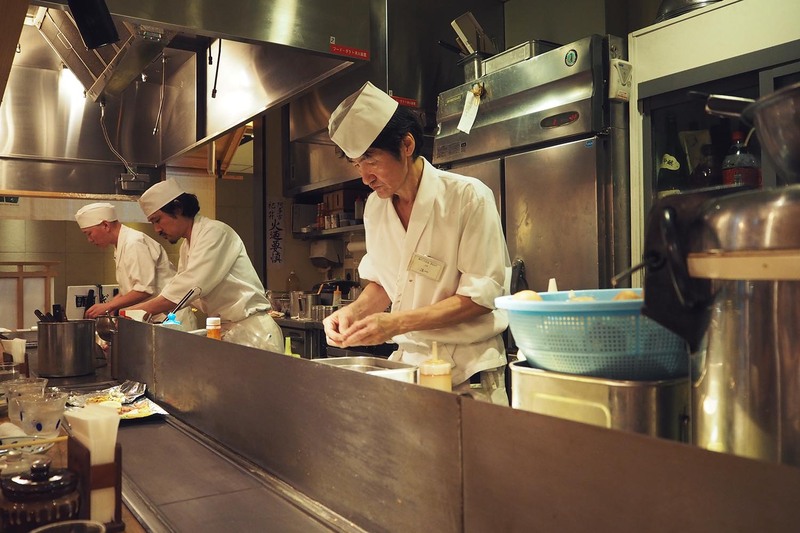 Kobe Rokkomichi Gyunta offers Kobe style teppanyaki, and hey, I’m not complaining because they serve delicious food. Happy belly, happy me. We ordered the okonomiyaki with thin pork belly slices on their lunch set, which comes with miso soup, salad, rice and a drink. For only ¥1350 it’s pretty worth it, considering the big portions. I’ve had okonomiyaki alone before in Izumi Garden and couldn’t finish it by myself since it was a bit cloying after a few bites, probably due to the overload of mayonnaise. The one in Kobe Rokkomichi Gyunta was light, with very little batter and mayonnaise. I loved how the cabbage was cooked just right, tasting fresh and sweet. The pork belly layered on the bottom was crispy and the whole combination just screamed perfection. 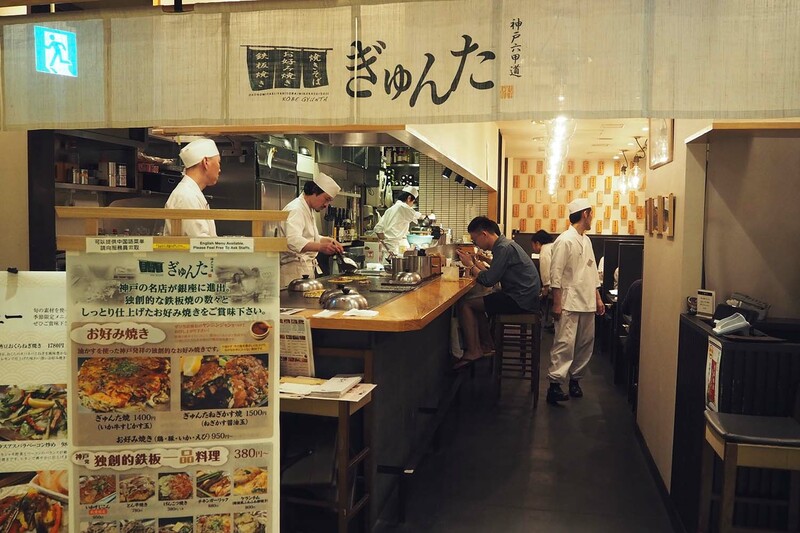 This place is the reason why I now love okonomiyaki. Am I selling it too hard? HAHA! 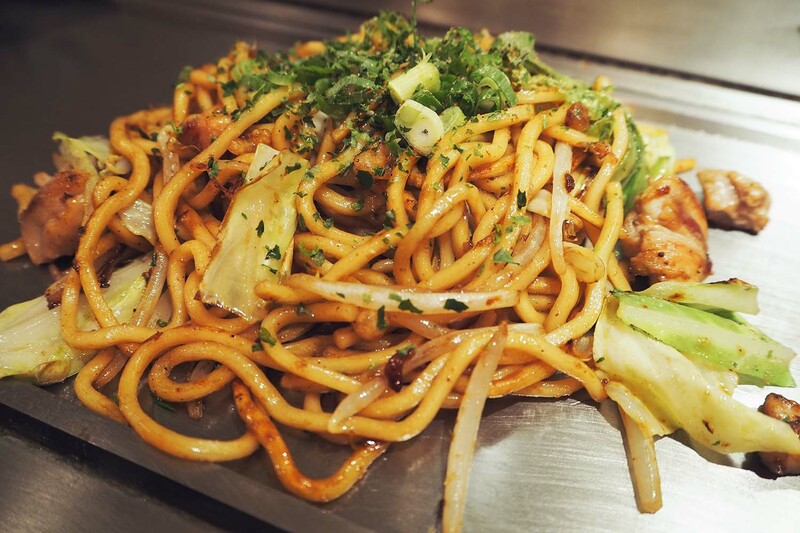 The tamago yakisoba is another dish that I highly recommend at Kobe Rokkomichi Gyunta. The noodles are stir-fried with fresh cabbage, spring onions, bean sprouts and pork slices, wrapped in a Japanese omelette. Since I hate bean sprouts, I just picked them out as I ate. Each strand was well coated with the sauce, probably the same sauce that is slathered on the okonomiyaki. Since the noodles were placed on a hot plate, some of it got crunchy with gave the dish a nice texture as it complemented the gooeyness of the egg. Personally, I liked this more than the okonomiyaki but then again, I am a sucker for noodles anyway. On my second visit to Kobe Rokkomichi Gyunta, I ordered the okonomiyaki with grilled pork and a regular yakisoba. Honestly, it tastes the same as the other one I ordered minus the omelette. The vegetables were fresh and crisp; well-seasoned all around. 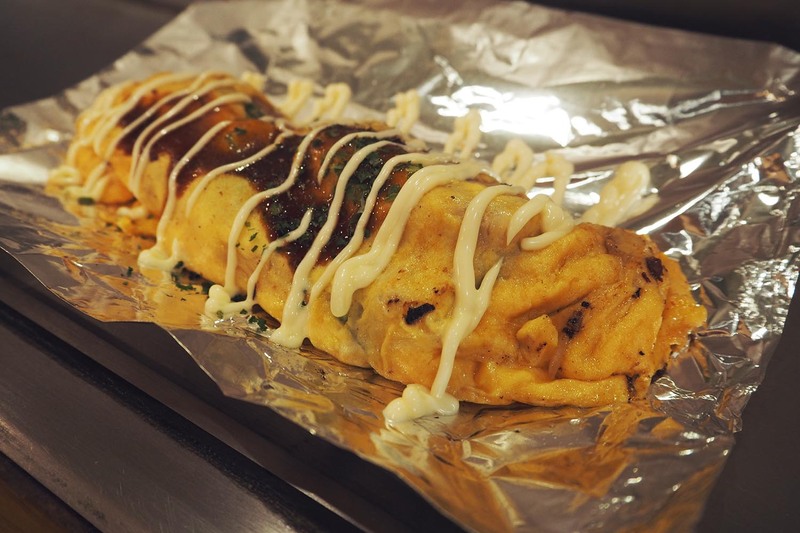 But if I had to pick one, I prefer the yakisoba wrapped in the omelette. Just way more flavour and textures. Both still delicious though! I also ordered the Torotoro Tonpeiyaki, which is grilled pork belly with stir-fry cabbage wrapped in an omelette, topped with mayonnaise and okonomiyaki sauce. This dish was absolutely divine! I was actually eyeing this on my previous visit but didn’t want to over order but since it was my last night in Japan, I knew I had to do it. Derek didn’t complain either. Let’s just say that if you’re willing to break your diet for something, this should be the reason why. Overall, 100% worth the visit. 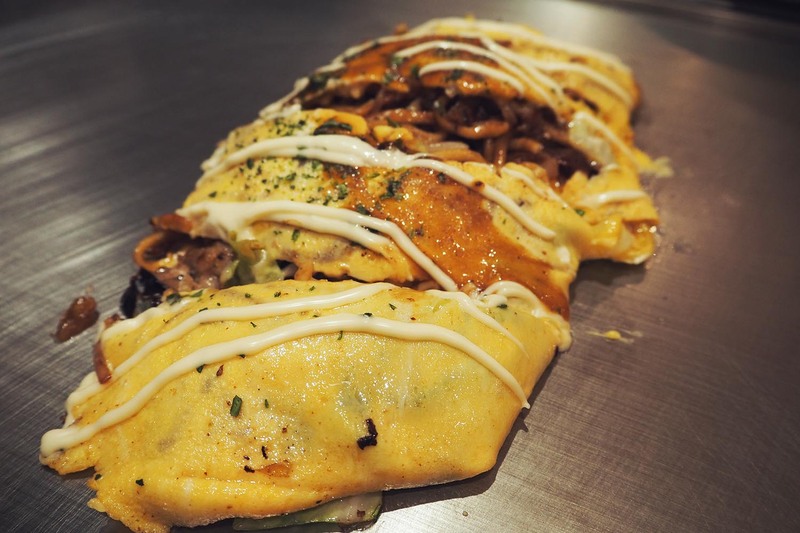 If you don’t really like okonomiyaki, this place will definitely convert you into an okonomiyaki fan! English menus are available if you don’t read or understand Japanese.